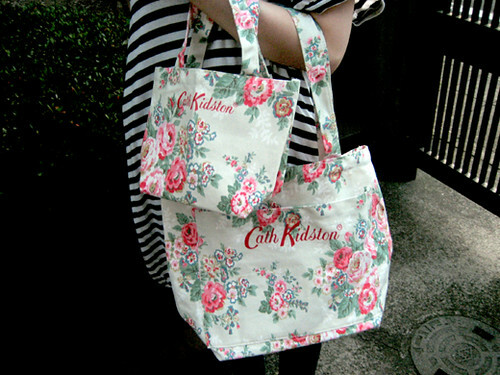 This is a Cath Kidston ”FLY TO THE UK！” 2010 autumn＆winter MAGAZINE. 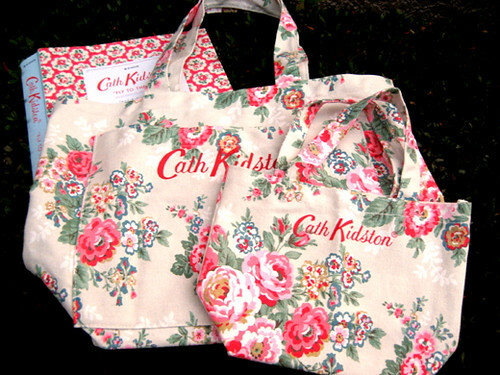 A big tote and a small tote with the popular Candy Flowers pattern are free gifts of the magazine. They are perfect bags for everyday use. I am in love with these bags, the big one is roomy and comfortable, the small one is great for carrying my knicks and knacks. The free gifts are amazing!! !